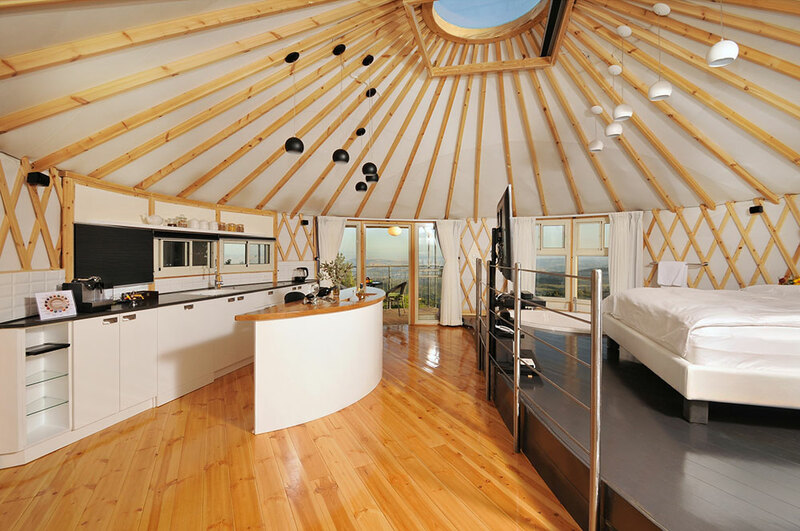 Master piece built from two connected yurt with a round window in the center of the ceiling. 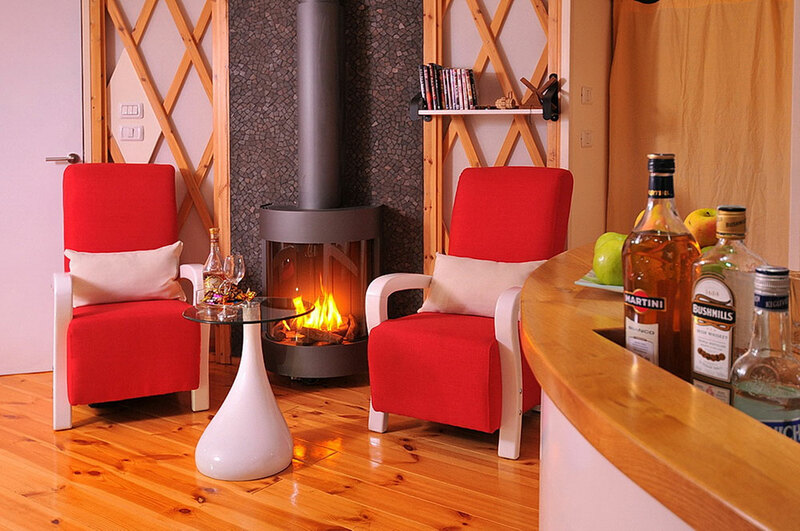 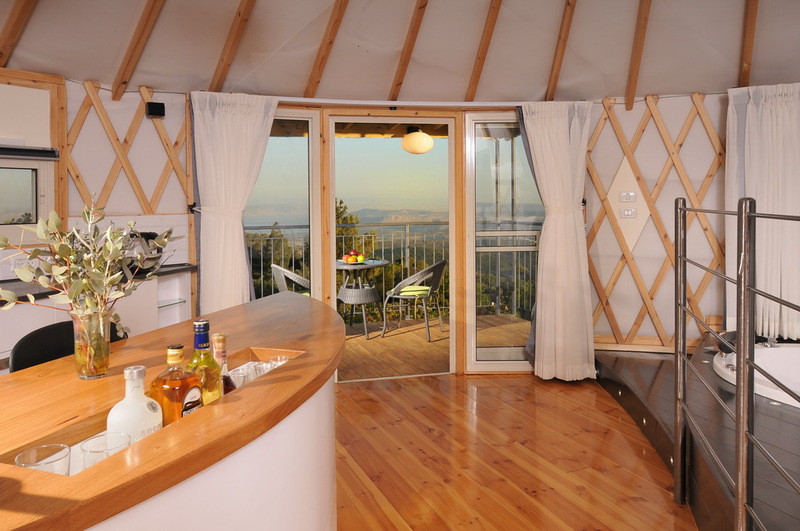 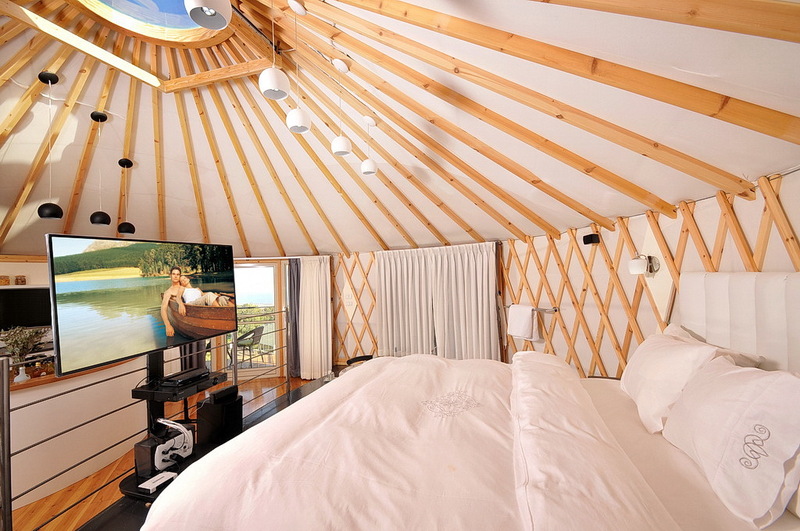 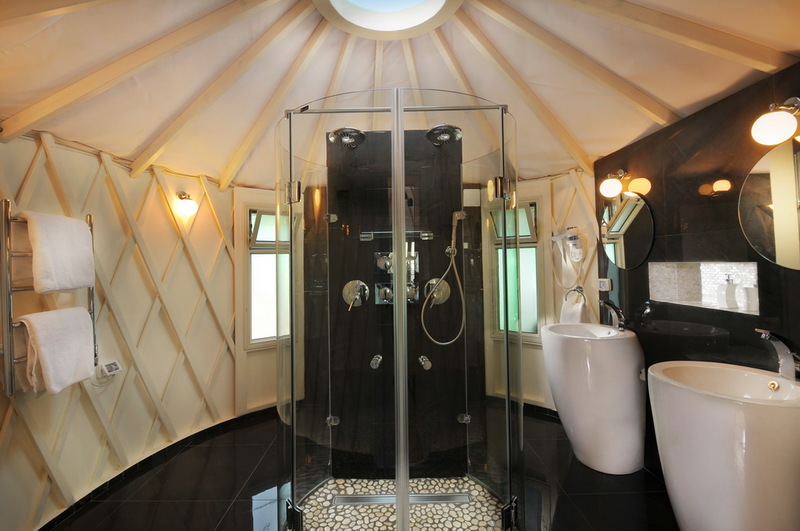 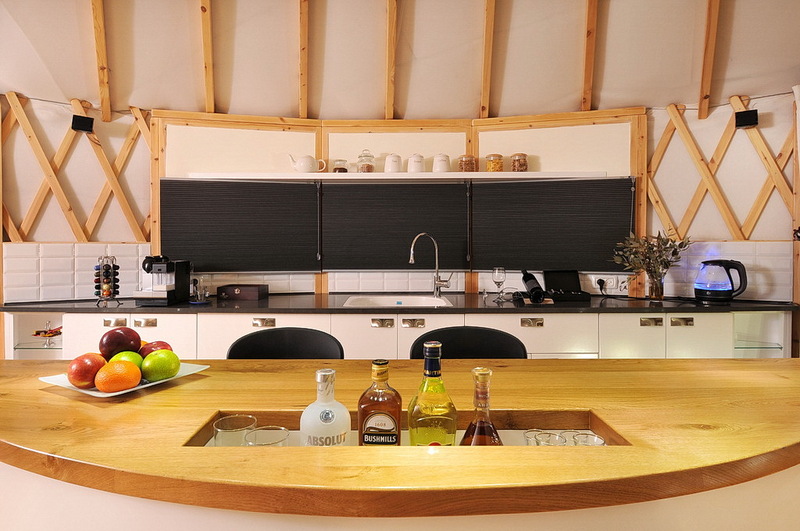 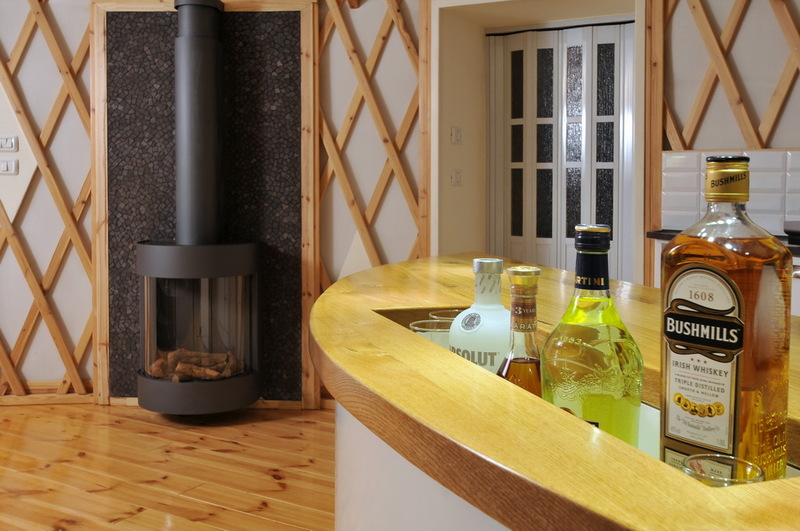 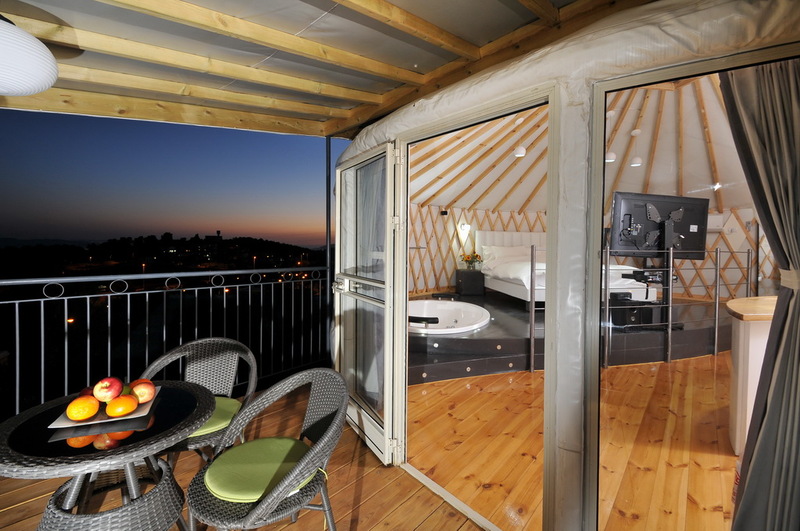 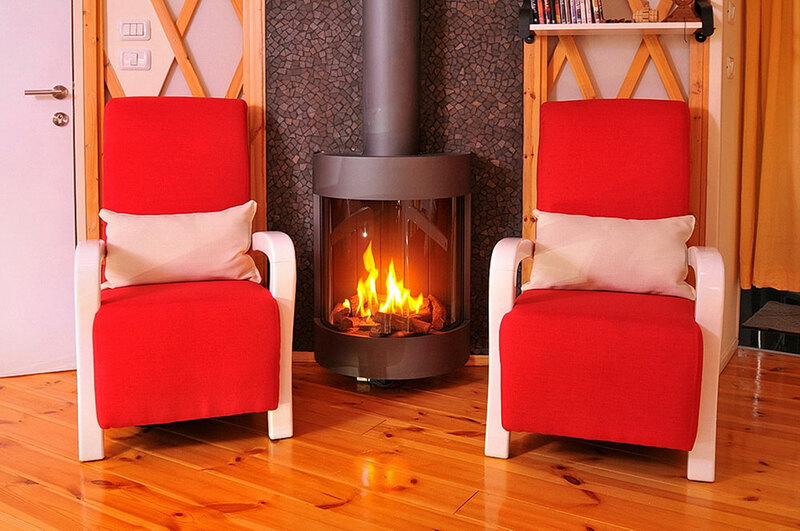 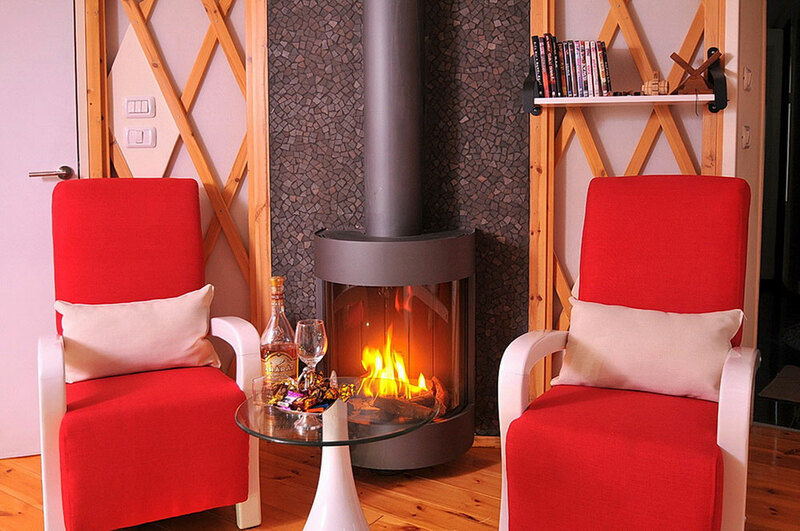 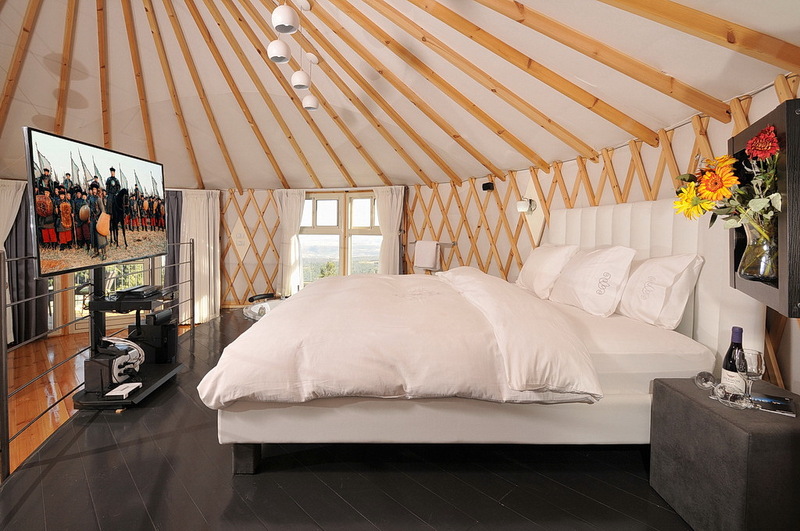 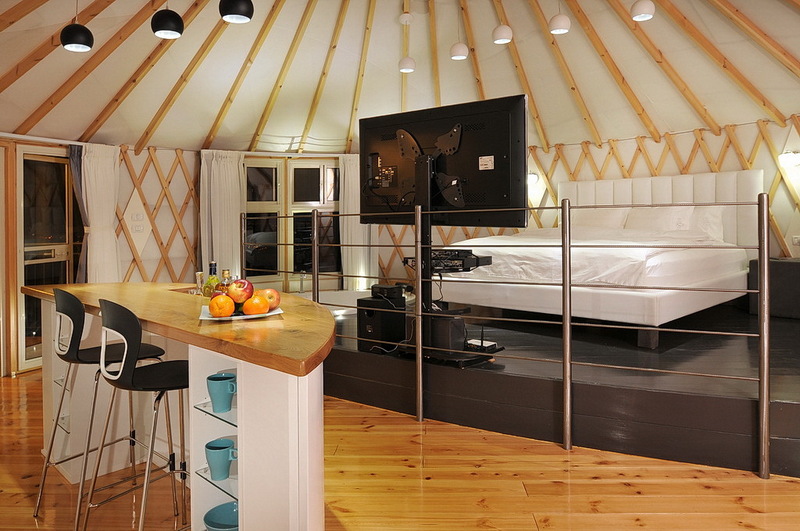 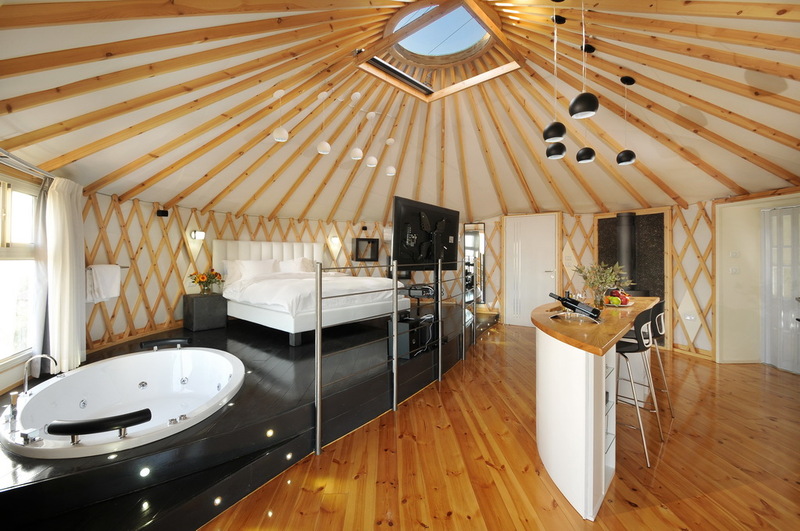 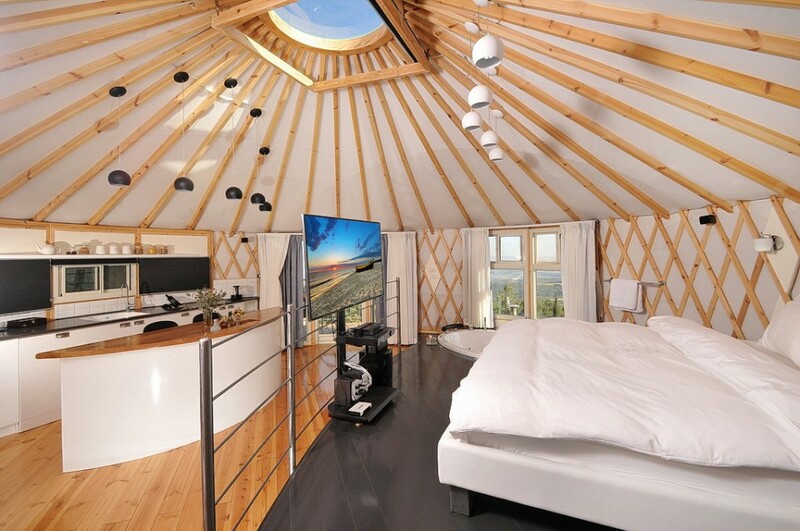 The yurt were built around the concept of architectural design and maximum space utilization form.in front of the huge rounded bed there is home theater system with surround sound system and a 55′ SMART-TV with free library of movies and TV-series . 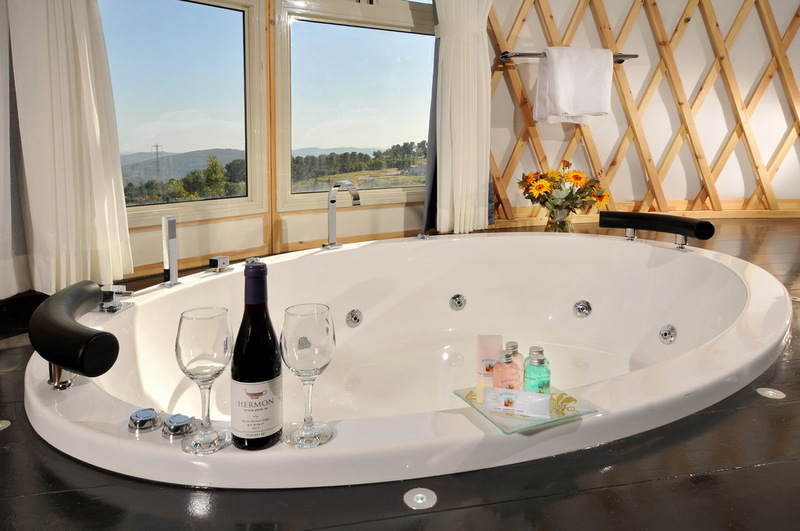 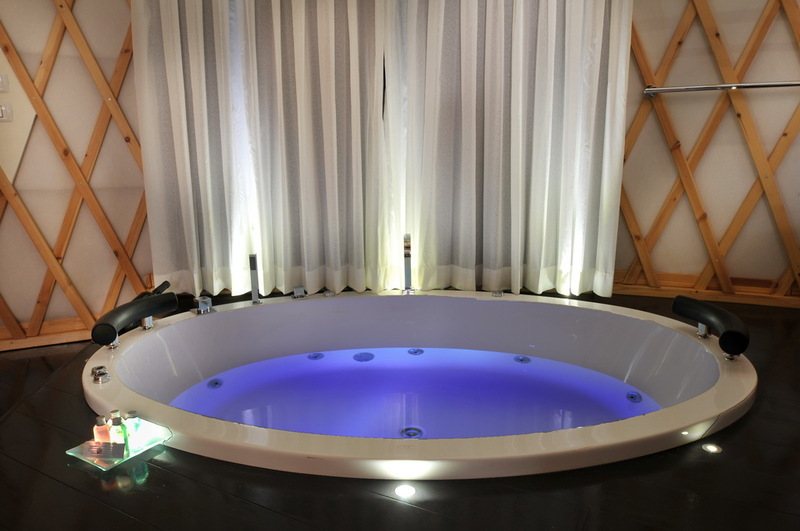 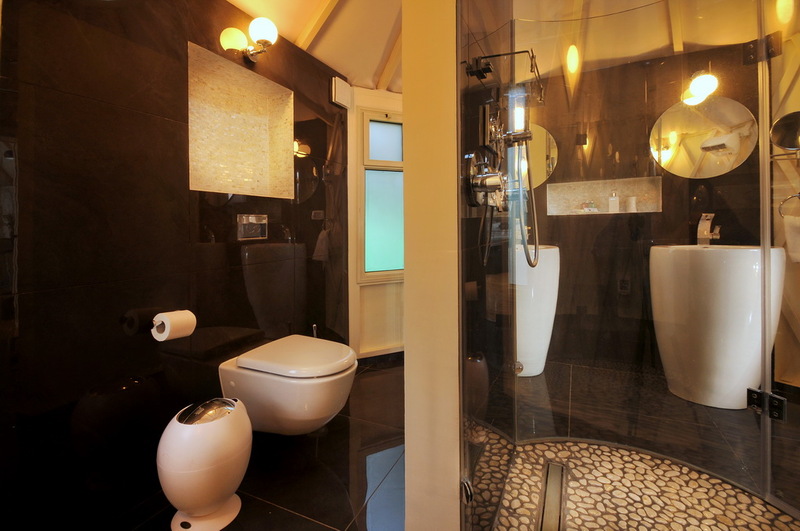 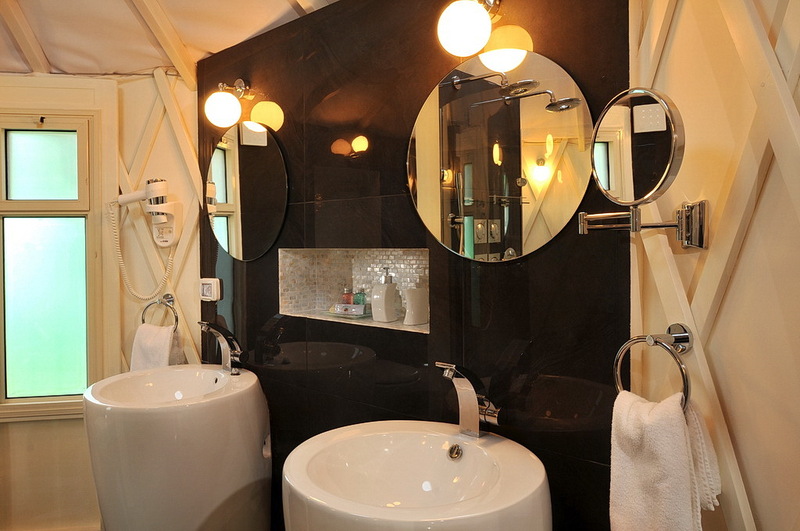 Huge Jacuzzi tub with beautiful view, round kitchen built by master craftsman and their our guest can enjoy selection of refreshments and treats free of charge .in the Shower room there is a double shower , bath rubs , soaps and shampoo . 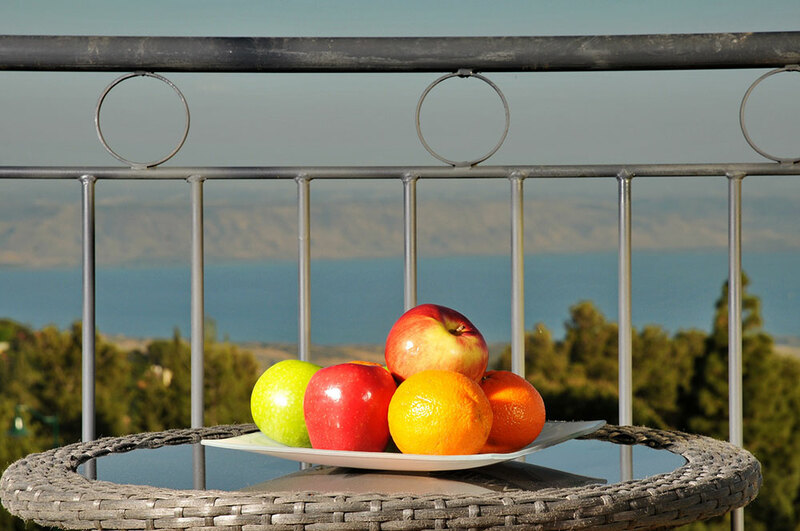 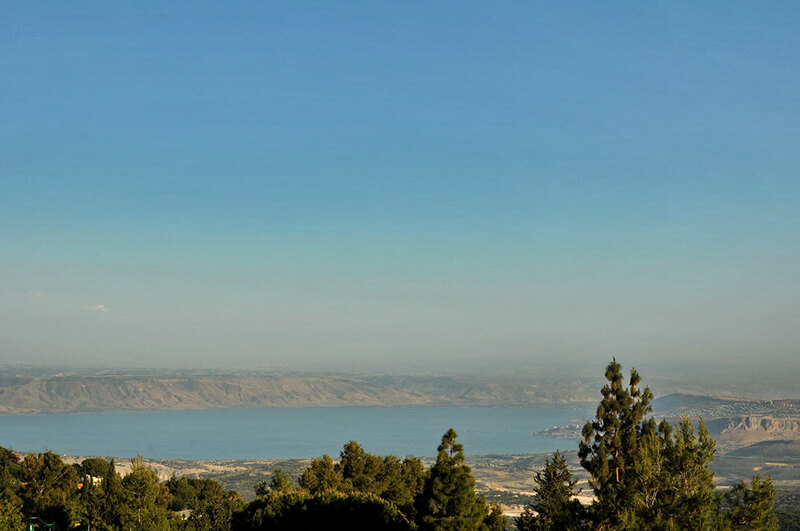 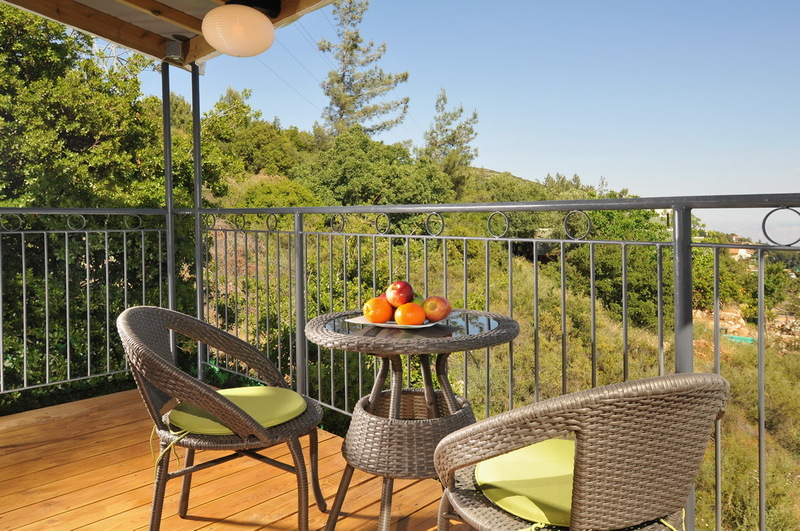 The huge balcony offer breathtaking views of the Sea of Galilee.